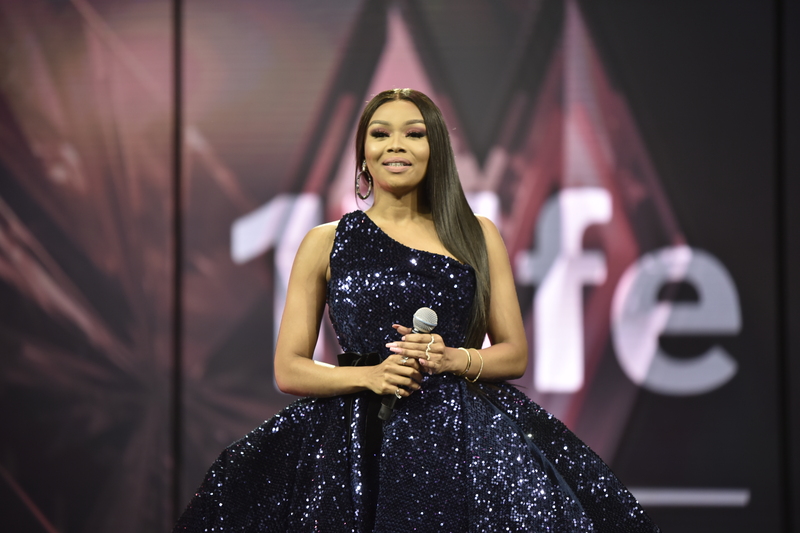 The air was positively crackling with energy and excitement at the Sandton International Convention Centre where the second Annual DStv Mzansi Viewers’ Choice Awards took place. There were dramatic gowns, dapper suits, edgy hairstyles and a lot of lights, cameras and action. Hosted by Bonang Matheba, the ceremony was filled with the who’s who of the industry to celebrate our country’s talented stars. Host of the evening Bonang Matheba had six different outfit changes. However, the one garment which stood out for us was the body hugging number the star wore when she accepted the Favorite Personality of the Year Award. Linda Mtoba presented the best TV Presenter award alongside Papa Penny Ahee. She looked radiant in a white silk suit from McCarthy Wolff. The beautiful Lerato Kganyago is serving style, sophistication and glamour in an exquisite Gert-Johan Coetzee Couture. Social media favourite Dimpie Dimpopo is looking fresh in a fitted suit by John Craig. Lady in red! Anele Zondo is looking stunning as always in an ensemble from fashion house Iman Shaik. Dimpled beauty Nomzamo Mbatha is looking priceless in a frock by Gert-Johan Coetzee. See the full list of the DSTV Mzansi Viewers Choice Awards winners HERE.